BrotherMall has all the genuine Brother All-in-One printers you need for your home, home office and business. When you buy a Brother MFC direct from BrotherMall, you can be confident you are getting an authentic Brother product designed to provide exceptional Brother quality and a superior level of technology and performance. 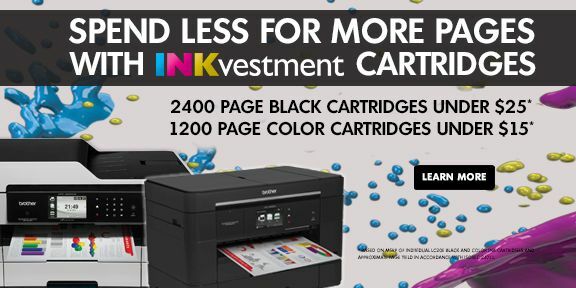 Whether you choose a color inkjet, laser / LED, monochrome laser, or color laser All-in-One, you'll find that Brother multifunction printers are dependable and suit a variety of budgets and user demands. 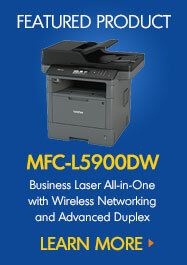 With one compact unit you can print, scan, copy and fax, saving you time, space and money. 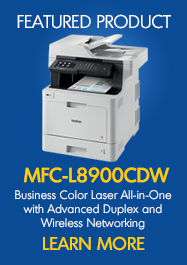 Brother All-in-One printers are feature-rich with innovative solutions that vary by model such as wireless connectivity, duplex printing, workgroup printing, security functions and built-in expandability to meet all your personal and business printing applications. Browse the Brother All-in-One printer models above to find the printer that's right for you. For your convenience, you can also shop by application, price range and features. Enjoy free shipping on orders over $49.99!